Enhance your cooking experience by opting for this frying pan that comes with a silicone handle. 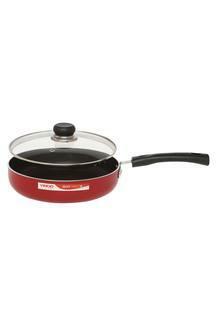 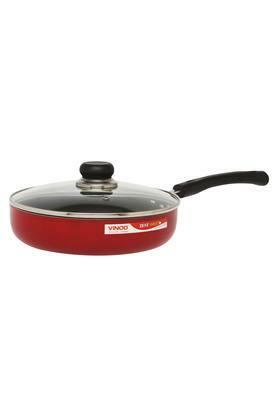 It has a non stick coating that prevents food from sticking to the base while also reducing the usage of oil. It is also wear and abrasion resistant, making it suitable for daily use. Bring home this frying pan from the house of Vinod for a hassle free cooking experience.